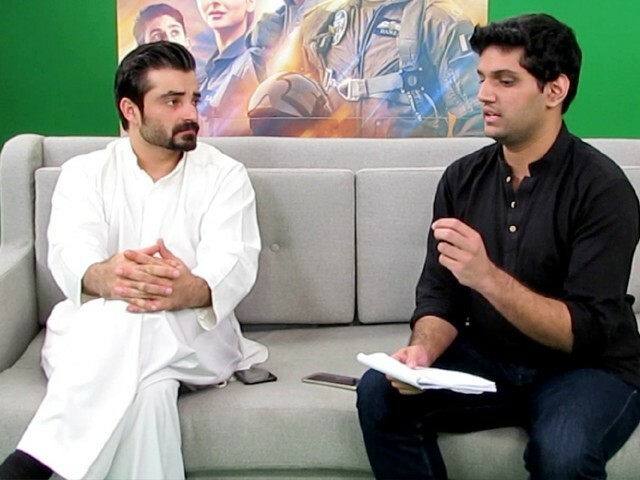 Actors may be good at what they do, but only a few stand out, and one such actor is none other than Hamza Ali Abbasi. He walks in his own truth, and exudes passion in his craft. There is no denying his presence for sure! Apart from being a great actor, Hamza is extremely political, as the nation watches him discussing matters of pertinence on TV every day. 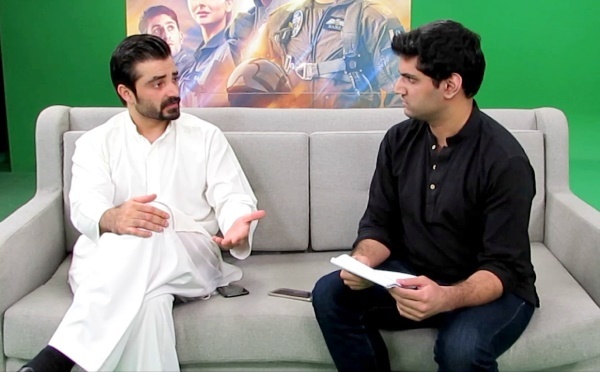 In a riveting interview, I learnt more about Hamza in his own words. Was acting always what you intended to do, or was it a different career path for yourself? I believe acting is by birth – it is not something you can study and learn or get a degree in. Either you are born an actor or you are not. Yes, you can study and become a doctor or an engineer. If you do a degree in acting, you are polishing a skill that is already there. I had a knack for acting since I was a kid, and performed school and theatre plays. It all took place while I was doing my degree in International Relations and my Central Superior Services (CSS). Waar and Pyare Afzal happened, so acting took over other activities in my life. Although I do many things, acting is one that has taken up most of my time in recent years. How did the idea of joining a political talk show come about? I am a very political person. It is shameful if you are not political in a country such as Pakistan. If you are treated unjustly, you should raise your voice against it. You should stand up for the issues that affect you so you can solve them, which is what politics and activism is about. I have been vocal from the very beginning. For me, charity is a temporary solution. The permanent solution is always, always politics! I didn’t have to make an effort for a talk show – it comes very naturally to me. People often ask me how long I prepare for the show and I tell them that I don’t prepare at all! I am normally quite updated. Politics is not a different thing that I am doing; it is a part of my life. What are your thoughts on the recent political climate, and what do you expect from Naya Pakistan? There is going to be a lot in Naya Pakistan that we have not seen before. Our prime minister saves Rs1.8billion in public wealth and claims he will not live in a lavish household. His expenses are spent from his personal account, and not a single penny is used from public funds. This has happened for the first time ever – we have elected a man into power who is not financially corrupt. We have seen the status quo abolished, and new faces in Pakistan. This is an unprecedented time in our country. Rest assured, as much as I know Imran Khan, he will deliver. You will witness change within three months, and even the critics will be pleasantly surprised. However, some people want Imran to fail simply because they want to prove a point. So, I request them all to kindly tone down their egos, come together and support the new government. If you have any reservations and you think the elections were rigged or you would like to protest, please do so, but don’t be malicious towards someone. It is important to not turn against the country so you don’t have to admit that you could be wrong. I am a Pakistan Tehreek-e-Insaf (PTI) voter, and I keep very neutral decisions when it comes to politics. However, many PTI affiliates, including Pervez Khattak, have corruption cases pending. How do you reason with that when the party itself has loopholes? I will tell you how; change comes from the top. As Muslims, Prophet Muhammad (PBUH) is an outstanding example for us. Whatever happened in Makkah? Things improved from the top, and it had a trickledown effect on the people. Unfortunately, in our political set-up, there are corrupt people who Pakistanis still vote for. You can say Asif Ali Zardari is corrupt, but their government is established in Sindh. You need the elected to come into power. Imran did politics for more than 20 years with new faces. Politics without power is nothing more than charity; power and such people are important if you want to change politics. You say Khattak is corrupt, but he still wins votes. Imran is not responsible for catching the culprits. As the prime minister of Pakistan, he will create institutions that will hold the culprits accountable, be it in PTI or outside the party. They will target people who are in the wrong, regardless of their political affiliations. Unless and until an institution convicts Zardari, screaming aloud will be of no use at all. The Khyber Pakhtunkhwa police is the best example. In Mashal Khan’s case, the accused PTI supporter was arrested. Similarly, two other cases were also met with the same fate that involved PTI. If a crime is committed, Imran will not badger the culprit or hold him or her accountable. We need institutions that will convict anyone who commits a crime. Those who voted for Khattaz don’t think he is at fault. I find Nawaz Sharif corrupt, but despite his imprisonment, more than one crore Pakistanis voted for him. I think controversy is inevitable for a celebrity. How do you cope with it? When you believe at heart the difference between what is right and wrong, a reaction ensues. This holds true for taking sides. If you cannot handle the reaction, stay silent. The best thing about faith is you believe that life, death and respect is in God’s hands. If you believe in something, speak up, and if you think you should stand against what is wrong, you should. One should not feel so scared. The day we all decide to be fearless, Pakistan will progress in a matter of days. You are the star of Parwaaz Hai Junoon. Who do you portray in the film and what can Pakistanis learn from him? I hope you feel proud of Pakistan and our Air Force. You will realise many things once you watch it. Hania’s character is the main lead in the film, and it is not fictional at all. Pakistan’s Air Force is the only one in the Muslim world that has active female combat fighter pilots. Shaheed Marium Mukhtiar is a recent example, and a film was made based on her as well. I hope you feel proud about yourself. We shouldn’t consider our soldiers as machines – they are humans and they do experience romance, laughter and fear. They have their own weaknesses, and I hope we can communicate this through our film. Sadly, most films made on the military in South Asia depict soldiers as all righteous and all-powerful individuals who are fearless, which is false. Courage is not the absence of fear; it is the presence of fear and the will to go on. We have shown a soldier’s human side in the movie. 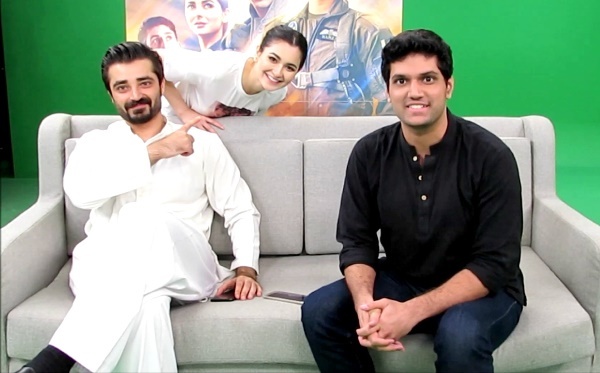 We did a promotional tour of the film and we hope that if you are not a Pakistani watching this film, you keep your negative perceptions about us clear. We are showing not a soft, positive image of Pakistan, but the actual image of our country. All our locations, cultures and people in the film belong to Pakistan. Sadly, our introduction to the world is by news channels, be it Fox News, CNN or Al Jazeera. We need to introduce our country through our films. Perhaps the most successful example in this regard is India – people know them because of Bollywood. We have to take ourselves to the world with our culture, films, music and everything good we have to offer. Who has been your guiding light throughout your life? I don’t know about guidance because there are many people, but one of my very core strengths – apart from my mother – has been my sister. If there is a pillar of strength, it is her. She is the only person in the world who actually believed in me as a kid, from the very start. I owe everything to my sister. 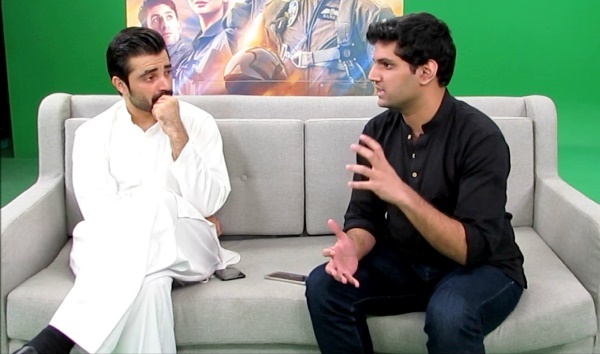 A man of grandeur and substance, it was a pleasure interviewing Hamza in an abode of peace. He sure knows how to multitask and keep things balanced! 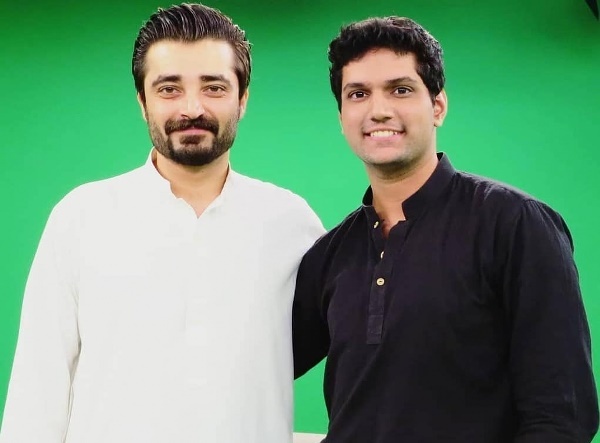 Hamza has hands-on experience with politics and the arts, and it won’t surprise me if he has something else planned on the radar. 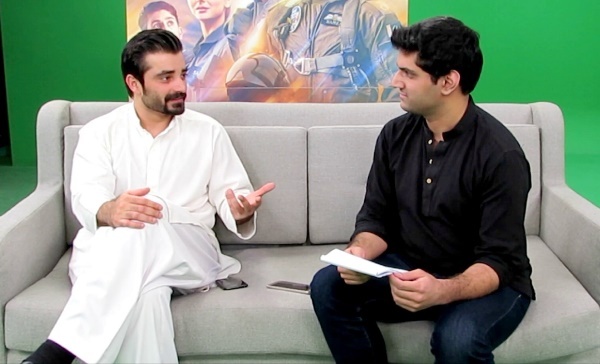 His latest venture, Parwaaz Hai Junoon, is running successfully all across Pakistan, and the nation cannot wait to see what a talented individual like Hamza does next – be it in the film industry or the world of politics.